All good stories need a place to start, and the successful ones deserve a space to begin with. Our startup environment is deeply rooted in what makes Estonia so appealing to global founders and young entrepreneurs aiming at new heights: ease of doing business, openness to change, creative minds committed to innovation, an international outlook. It’s a house with three walls, a place you can call home for everything it has to offer, but also the starting point for bold ideas and projects striving to transcend any kind of geographical constraint. The home of Estonia’s startup community has a name, and it’s LIFT99. LIFT99 goes beyond the classic definition of workspace. Its facilities are equipped with all you need to do the job and spare the usual hassles of working in an office, but what they do is much more than offering a space to startuppers. 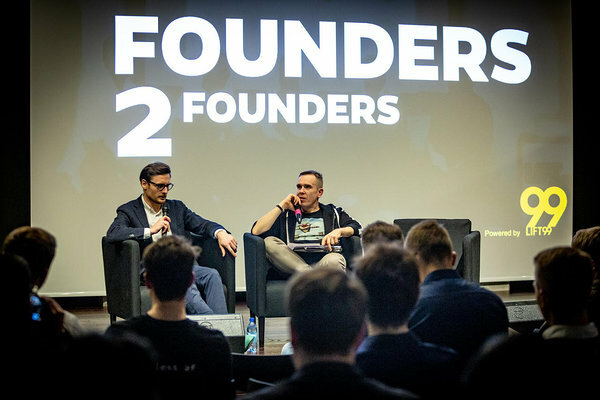 Their mission is to be multidimensional, by being a point of reference on the map in Tallinn (and soon in Kyiv too), but also the hub where experiences are exchanged, ideas are born, founders meet founders. Space and community, places and people, make LIFT99 the place to be in Estonia to figure out not only how to start a business, but also to see it grow. Elise Sass is the COO of LIFT99 and has been part of our startup community basically from the very beginning. Mother, startup mentor, serial hackathons runner, she’s also taken care of Microsoft’s team in Central and Eastern Europe to develop cooperation between startups and the corporate sphere. We had a chat with her on the latest from LIFT99, what makes it the best place for new beginnings, and why connecting people is the salt of a rich startup scene. There's no doubt about LIFT99's name within the Estonian startup context. So how did you manage to become such an important part of it by now, and why - today - you're the place to go for national and international founders? 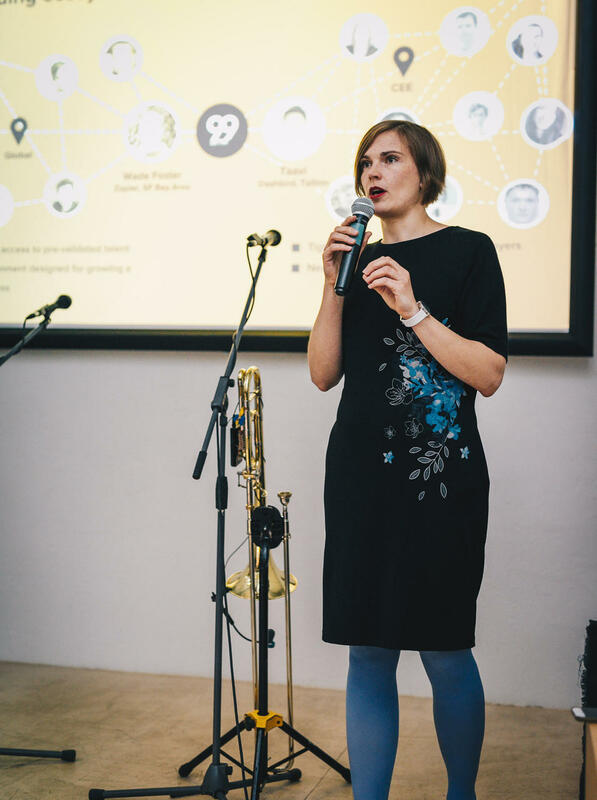 LIFT99 as an organization stands strongly on the same fundamental beliefs that make the Estonian startup community strong - communication, openness, connections, sharing knowledge and experience, and continuous learning. The coworking space that we have in Estonia was opened for the startup community, but there’s no geographical boundary to our reach. Two main reasons explain it well: startups in Estonia aim to build an international business straight from day 1, and this approach matches the vision of successful startup companies, for which borders or nationalities have almost no relevance at all. LIFT99’s physical coworking space has always welcomed delegations from and outside Estonia - whether visitors come in small groups of two-three people, or with big official delegations interested in our startups and e-services. 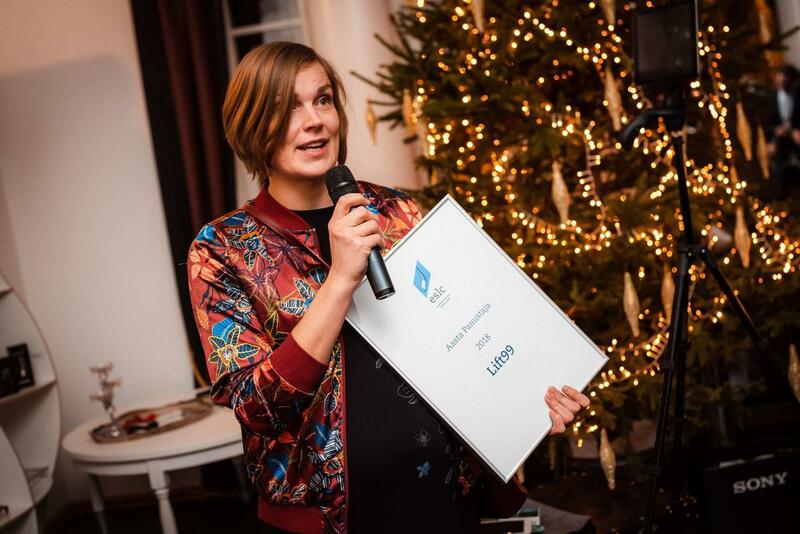 We know the story, because we are part of it: we introduce the Estonian startup scene, we talk about the most successful startups and where it all started. The founders of LIFT99 have been part of the Estonian startup community for more than 10 years. Ragnar Sass is a founder of several startups, including Pipedrive - a customer relation management software for small and medium companies. He is a serial-entrepreneur, and he has always been supporting the local community, also through the Garage48 Foundation. This has paved the path for a successful brand behind LIFT99 as well, as the community is well connected and people know each other. So, connecting people is part of your mission. In your opinion, what's the place of community in the development of a vibrant Startup ecosystem? LIFT99’s core mission is, indeed, connecting people. To achieve that on a whole new level, we are building a skill-sharing software for today's and future startup founders called Founders2Founders – or F2F app for short. We believe that the strength of a startup community and the possibility for new ideas to blossom lie in sharing experiences, connecting knowledge, and taking informed actions. This software will enhance the value of information and connections as useful tools to build bridges with the right people with relevant skills for your projects. It’s an exchange, a give-and-take dynamic no one is left out from, including already established entrepreneurs: people want to improve, hear from different experiences, and listen to good advice to put into practice. At the same time, we continue to run our physical coworking space as well, as it gives us the possibility to stay close to startup founders, see and hear their immediate feedback and needs, and analyse their thoughts as they arise. Tech skills and knowledge aside, how crucial is the role of human and cultural components – such as trust and openness to sharing creativity? It's the most important - you can always learn additional skills to code in a new language, or use new marketing methods. At the same time, even if you meet the smartest person you’ve ever seen, but you don't feel the passion or a click, then it's hard to accomplish anything together. The best startup teams are those standing on common values, but diverse in their skills and background. This makes sure that they can spot opportunities, but also risks – and act fast on them. The theorem is “let’s find a way to do this”: it is essential to tolerate different reasoning and opinions as long as they come with a proactive and collaborative spirit. The Estonian startup context is very well connected internally. But why founders should start in Estonia to subsequently - and successfully - scale up to an international level? The uniqueness of Estonia’s startup ecosystem is that we think global from the very beginning - Estonians talking about startups is a synonym of international business. We build products for international markets and we’re driven towards that. Many bigger countries don't have the same approach, since they work on their local market first, but then are challenged with the struggle for the right approach to expand beyond the home borders. In Estonia, we don't aim to keep startups here: we want them to grow. For a global business experience, it is necessary for the links of your internal network to stretch towards other countries and an international dimension. You have F2F events in different locations, and this year your Tallinn Hub's sibling will open in Kyiv, Ukraine. Is there room for LIFT99 to become the reference point in Central and Eastern Europe for founders and startups? Which countries are you planning to expand to? When we talk about our Founders2Founders skillsharing software, then our first target market is definitely Central and Eastern Europe. Kyiv is a very interesting city to open our new LIFT99 Hub for the high potential it has - there are tens of thousands of passionate, skilled engineers and product developers who want to take on new challenges and achieve their personal goals. Hubs, physical spaces, are a great place to turn potential into action, and to focus on the relevant data points and analyses on our platform so we can offer the best tools to connect founders and creative minds. This interview was carried out and edited by Federico Plantera - journalist, researcher, copywriter. The conversation is part of a series of interviews aiming to explore together the Estonian startup ecosystem. Talk by talk, Startup Estonia takes you on a journey to meet the people behind - and beyond - notable brand names, and lets you hear their stories through their own voice. Keep following us and don't miss a beat!